We're thrilled to present a Q&A with Julie Proudfoot, the founder and Executive Artistic Director of Artemisia Theatre! 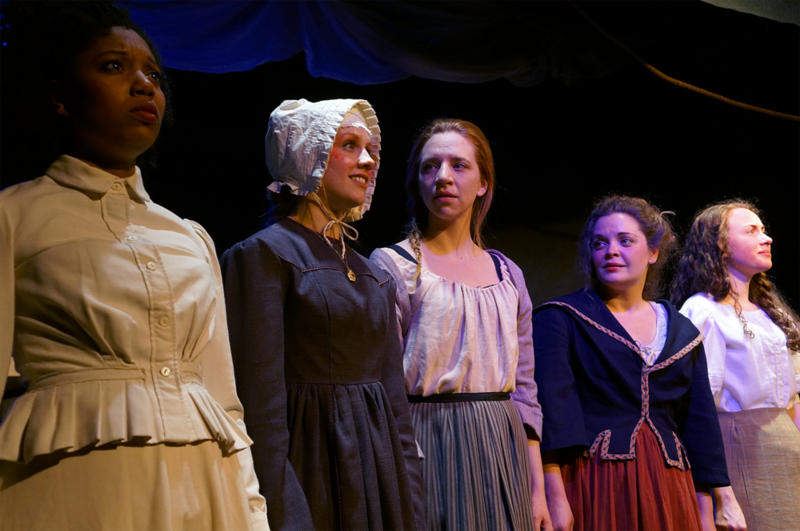 Artemisia is "Chicago's premiere theatre for the development and production of all new feminist plays," focusing on the struggles and achievements of strong, independent women who are the primary agents of their own lives. 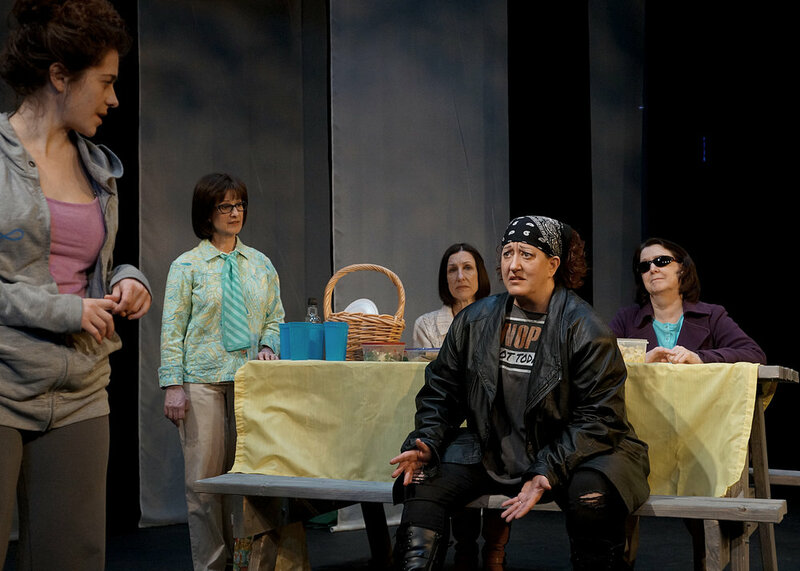 Every year, Artemisia hosts a fall festival featuring six badass plays focusing on empowering women in every way possible and challenging the audience's perspectives on women. Bossy: What’s Artemisia all about? Julie Proudfoot: I founded Artemisia, A Chicago Theatre in 2011. We’re a not-for-profit theatre that produces all-new, dynamic and empowering feminist plays to create gender parity both onstage and off. Each and every year, our Fall Festival features six new feminist plays from which I choose one to fully develop for a premiere production in Chicago. One of the coolest things about Artemisia is our commitment to engaging our audience directly in our mission – empowering women and girls through theatre. B: What inspired you to start the theatre? JP: When I arrived in Chicago in 2011 I just wasn’t seeing women dramatized on stage outside the typical victim model. I wanted Chicago to have a theatre committed to developing and producing bold, brave plays about women who have agency and who are the center of their own narratives. B: Why does this matter to you? Should it matter to everyone? JP: It matters to me because women are long overdue to be recognized on a level equal to men, especially in terms of leadership, humanity, complexity and agency. I think it should matter to everyone because Artemisia’s work inspires gender parity, which has been statistically shown to make for better and safer communities. B: Tell us a little about the works you showcase. JP: Artemisia really develops new work – no, really. Ninety percent of the plays we showcase have never even received their first public reading. And we take huge risks – not just in the way in which women are dramatized on stage, but also in the types of stories we choose. Our work has been hailed as starting, remarkable and unique, and I think that’s all true. We also believe that men, as well as women, can be feminists and while the majority of work that we do puts women in the lead, we have produced great feminist plays by male writers as well. We’re proud that we walk our talk in terms of our core values – empowerment, inclusion and diversity. B: Tell us about your upcoming fall festival -- what’s up next for Artemisia? JP: Wow, is this festival our best yet – and I say that having absolutely loved the past seven Fall Festivals Artemisia has produced. Here’s the line-up of plays with a brief description of each. B: Has your identity as a woman impacted your journey as an entrepreneur? JP: Yes, most definitely, because as a woman I have experienced much that remains unspoken and unheard in my world. And I completely believe I share this imposed silence with other women. It has always created a great deal of longing to identify and speak my truth and the truths of other women so that I and we can be fully understood and appreciated in our society. B: How do you view Artemisia in the context of the city of Chicago? JP: We’re an emerging theatre that is a great partner for women-owned businesses looking to expand their profile in the city, grow their customer base and get involved with a nonprofit organization looking to better our community for women and girls. And we do a great sponsorship during our Fall Festival for Women-Owned Businesses. Anyone who's interested in learning more can contact me at artemisiatheatre@gmail.com! B: Quick, describe Artemisia in one sentence! JP: Artemisia empowers women and girls through theatre to better our world. Interested in attending Artemisia's 2018 Fall Festival? All performances will be at 7:30 pm at The Edge Theater. For more information and to reserve early, go to artemisiatheatre.org -- and check out some other amazing press coverage of the Fall Festival at Broadway World, The Hawk Chicago, and Picture This Post!